Plumbing is a complex component to all modern construction for businesses in Hillsborough, and the skills of pipefitters and plumbers get put to the test to conceal these components as best as they can within wall cavities, ceilings, and floors of plazas and shopping centers. One significant water loss incident occurring from somewhere in this network of hidden plumbing could prove detrimental to more than one business if they break or leak occurs within a shared wall. With so many connections, joints, and elbows that make up a plumbing array within the walls of a shopping plaza, it is not difficult to determine how likely potential water damage scenarios can be in Hillsborough. We strive to provide every customer with an immediate response to their water loss incidents, offering each component of our advanced inventory of drying and moisture detection to identify where plumbing repairs must occur and to restore the damage that has happened. Our SERVPRO professionals can work to identify the full spread of this damage from our arrival to determine the best placement for drying equipment and machines that we bring with the Green Fleet. With leak and moisture detection equipment, our team can identify the problem area within a wall cavity to prevent excessive and unnecessary demolition of affected materials throughout the plaza. Once we have identified the location of the water break in the plumbing exclusively, our professionals can work to remove the portion of drywall in the immediate area so that the break becomes accessible to get fixed. Flood cuts are a common approach when substantial water loss situations have occurred, primarily when the damage has spread beyond the affected wall cavity. Drywall can quickly absorb pooling water, and allow this moisture to wick upwards towards the ceiling, making an irreparable portion of this wall damaged, even with the fast response of our SERVPRO team. Once these cuts have occurred to remove saturated portions, we can dry out the cavity itself with our high-velocity air movers. There are many steps to recovering your business after a water loss incident, but quickly addressing the source of the situation is a critical place to begin. Let our SERVPRO of West Somerset County professionals show you how we can make this damage “Like it never even happened.” by calling (732) 805-9944. Read more about Hillsborough here. Whether flood damage affects your home from the outside or the inside, calling SERVPRO is your best recourse for effective water removal. The removal of large amounts of water from your home is best left to a professional. Often, flooding the home can create personal health risks. Structures weaken, fabrics can become stained and electrical wiring can become hazardous. We offer an experienced team of restorers who can conduct a professional risk assessment and carry out vital mitigation tasks. It is essential to use a local service for flood damage in Somerville. Short call-out times can help to reduce the risk of permanent damages occurring from prolonged exposure to moisture. SERVPRO is a local company, but with the benefit of national resources which means we can arrive quickly and mobilize the necessary equipment for substantial scale water removal. The primary method of removing water is by pumping it out into an open sewer point. SERVPRO deploys these pumps that are powered by gas and can reduce the level of standing water significantly. Afterward, we can move in using water extraction units to dry residual moisture without risking damage to fabrics that may be weaker when wet. Often, the combination of these two types of equipment is enough to get a home back to its natural dry state. The remaining problems with flood damages tend to be odor related. Water carries microbes that can exacerbate a pre-existing issue or create the unpleasant odor of stagnation. We bring in thermal foggers that vaporize deodorant liquid and can be used either in the affected area or throughout the home for more severe odor issues. We can also treat surfaces with spray-on deodorants to mask odors until they dissipate naturally. In our line of work, communication is key. SERVPRO has worked with local insurance providers as well as general contractors to ensure that our customers only have to deal with one company throughout service. 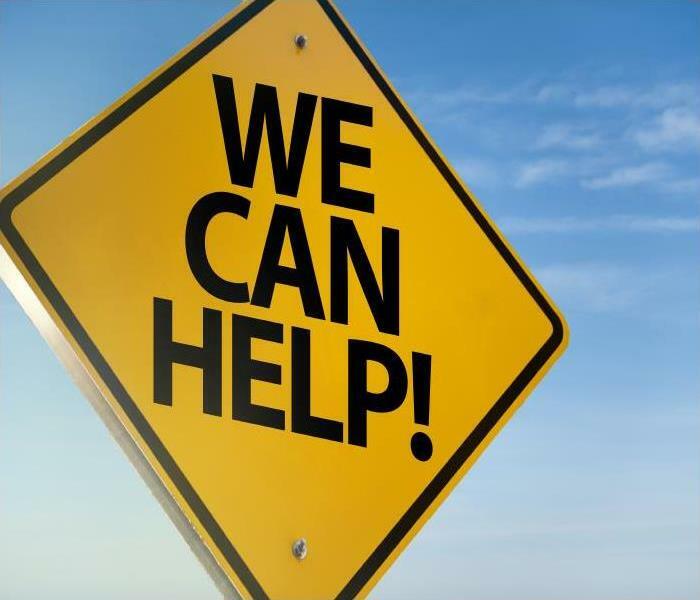 We can create an inventory of items as well as services carried out for you to pass on to your adjuster and always conduct a walkthrough with you to show you what and where remediation tasks have been done. Over the years we have refined our restoration service to make it increasingly efficient and professional, contact SERVPRO of West Somerset County at (732) 805-9944 today. Click here for more information about the city of Somerville. A household fire brings normal life in Hillsborough to a halt. Moving your pets and family members to a safe place is a priority. When you return to survey the scene after first responders extinguish the fire, it might be difficult to recognize the sooty, waterlogged shell as your home. Setting things right after a fire is a complex and labor-intensive proposition. Our managers and crews are uniquely qualified to take on the challenge. After your call, our team arrives at your Hillsborough home as soon as possible to assess the fire damage. We determine what tasks are most critical, assigning a work crew to begin the first item on the list immediately. We often recommend a pack-out of the contents located in the fire-damaged area as a first step. SERVPRO uses a detailed Contents Claim Inventory Service (CCIS) to track articles removed. Our production facility technicians use specialized equipment and techniques to clean, dry, deodorize, and restore items, and then store your property in a climate-controlled area until we transport it back to your home after the fire damage mitigation completes. At your home, we address fire fighting water and chemical removal. Because our service vehicles contain the equipment and products we need no delay is necessary. Pumps and extractors are truck-mounted, on the job even if your power is temporarily disconnected. Other members of the SERVPRO team evaluate and get to work cleaning up the soot damage throughout your house. We match cleaning tools, methods, and products to the different types of residues deposited as the fire consumed a variety of fuels room to room. SERVPRO helps determine if any foods or personal care products need disposal. Even if they look untouched, heat can spoil the contents of cans and bottles and soot is fine enough to bypass even the threads on a jar, clearing contaminating boxes and bags of consumables. 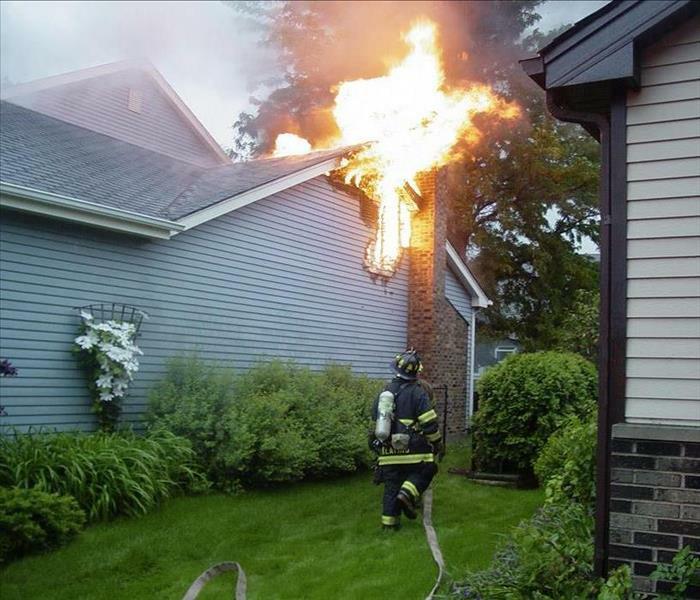 Persistent odors after a fire are common. SERVPRO technicians rely on IICRC training and strategies to eliminate odors. We invest in technologies such as thermal foggers, ozone machines, and hydroxyl generators to neutralize particularly strong smoky smells. SERVPRO of West Somerset County has the experience, training, and equipment to make the fire damage to your home and its contents “Like it never even happened.” No matter what time of the day or night, one call to (732) 805-9944 results in a highly-qualified crew coming your way. More about our local FD by clicking. 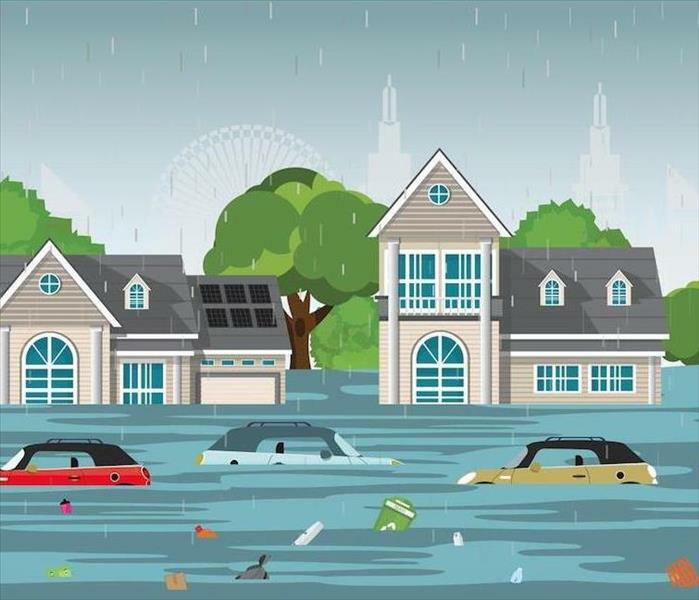 Many Hillsborough homeowners mistakenly believe that water loss incidents and saturation can naturally resolve itself without causing substantial damage to structural elements or construction materials. In truth, water damage can spread quickly to affect many surfaces, contents, and materials throughout the property. Even when surface moisture appears resolved, moisture and dampness can persist out of sight, which can meet the conditions for secondary effects like mold growth. Avoiding this costly and damaging circumstance begins with ensuring that water loss incidents get properly dried right away. If water damage has occurred in your Hillsborough home, fully restoring these effects is critical to protecting both your property and its occupants. Our SERVPRO professionals have a 24/7 response to water emergencies, arriving with our IICRC-Certified Water Restoration and Applied Structural Drying Technicians to set up both containment equipment and barriers as well as establishing the best location for extraction and drying equipment. As mold growth can begin within 72 hours of saturation, our professionals have a finite amount of time to dry out saturated materials to prevent the facilitation of microbial threats. Our technicians arrive with a wide variety of recovery and drying equipment including our high-velocity air movers and dehumidification units of varying size and strength. We tailor the positioning and volume of these efficient units throughout the home to the severity of the damage the property has sustained. With the appropriate response time to the emergency, we can help to not only prevent secondary effects from forming but also to preserve original construction materials from requiring replacement. 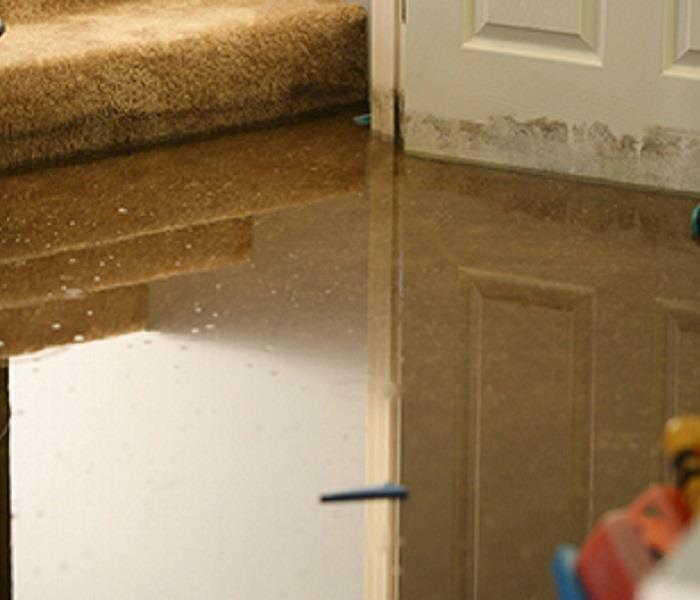 From floating carpets to our Injectidry system for flooring, wall cavities, and ceiling spaces, we have the advanced tools for restoring your property fully after a water loss incident. Drying is an important step for restoring your home after a water loss incident, and you can count on our SERVPRO of West Somerset County rapid response team to get these practices started as soon as we arrive in your home. Whenever disaster strikes, you can count on our technicians to make it “Like it never even happened.” Give us a call anytime at (732) 805-9944. Click here for more about Hillsborough. Make a disaster supplies kit. One gallon of water per person (and pet!) per day for at least three days. Non-perishable food, at least a three-day supply; manual can opener for food. Battery-powered or hand crank radio and a NOAA Weather Radio with tone alert, and extra batteries. Dust mask to filter contaminated air, and plastic sheeting and duct tape. Local maps (not on your phone!). Cell phone with charger, inverter, or solar charger. For more supply kit recommendations click here. How will we get in touch if cell phone, internet, or landlines don’t work? How will I let loved ones know I’m safe? How will we get to a meeting place after the emergency? Download the FEMA app for alerts and more information here. For more information about the different kinds of emergencies you can prepare for, click here. Production Technician Emmanuel extracts water from the carpet in the members’ room of the Hillsborough Fire Department. 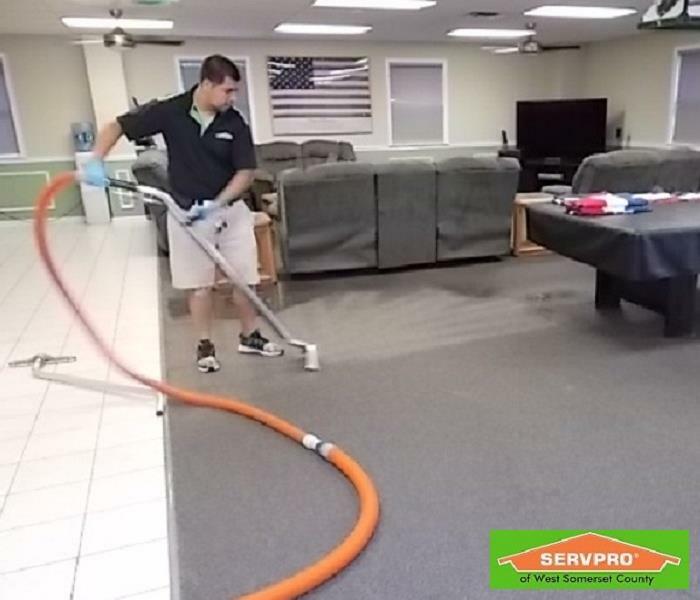 When the Hillsborough (Flagtown) Fire Department had a wet firehouse due to a faulty water heater they called on SERVPRO® to come dry them out. The Fire Department discovered that their water heater had failed on a Friday morning, damaging their kitchen and other areas. SERVPRO of West Somerset County was on site within an hour of the call and began right away to remove as much water as possible. Unfortunately, not all the wet structure could be saved, so our crew worked over the weekend to remove the damaged materials. We put our drying equipment in place to remove moisture from what could be saved. On Tuesday the firehouse was clean and dry and ready to be rebuilt. Prevention is your property’s best protection against storm damage, but if that doesn’t work call SERVPRO at 732-805-9944. It’s hard to believe but it’s less than three weeks until hurricane season starts. In the past few years, Somerset County has been hit pretty regularly so it helps to be prepared. SERVPRO of West Somerset County has plenty of experience with storm damage starting with Hurricane Floyd back in 1999, so we know well what likely causes of damage can be. The following tips can prevent the stress of having water where it shouldn’t be. Protect your contents, structure, and peace of mind by making sure that your sump pump is functioning as it should, before the rain starts. After the storm isn’t the time to find out the damage to your property isn’t covered. Any dead limbs can be a danger, but pay particular attention to trees close enough to your house or power lines to cause damage if limbs fall. If the power goes out they could be damaged by a surge when the power resumes. Consider a whole house surge protection system to safeguard your expensive equipment. They should be checked twice a year, with one on each floor of your house. Power outages can lead to dangerous carbon monoxide levels. Even small issues can cause large damage in heavy rain or hail. If your roof needs to be replaced, consider getting one designed to be hail resistant. Shutters that can easily be pulled closed to protect your windows can prevent broken glass or leakage. Blocked gutters can send water where it shouldn’t be, potentially damaging your siding, foundation, and landscaping. Sometimes storm damage happens despite your best efforts and preparations. When it does, call SERVPRO of West Somerset County 24 hours a day at 732-805-9944 and we will come dry you out! 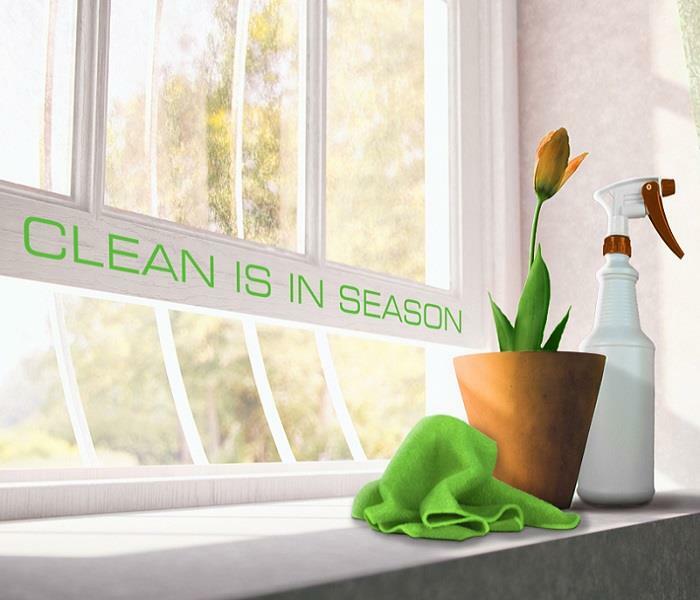 Call SERVPRO today at 732-805-9944 for your deep spring cleaning! It looks like it’s finally really spring in New Jersey, and that means spring cleaning! To help you out we have some recommendations from the professionals at the Institute for Inspection Cleaning and Restoration Certification (IICRC). Our SERVPRO crew members are certified by the IICRC so you know we have the training and experience to help you if you want to take your spring cleaning to the next level. Microfiber cloths attract more dirt than you ever thought could be present, and distilled water is one of the most powerful solvents available while also being safe. The combination is unstoppable! One damp and one dry cloth to follow it to make sure you pick up all the dirt and prevent streaking. A white or blue non-scratch scrubbing sponge or microfiber cloth for hard to remove dirt. Green sponges usually have a risk of scratching surfaces. Remember that sponges can harbor germs, so keep the bathroom and kitchen separate. A plastic or metal spackling knife or spatula to cover with a cloth and reach into edges and other tight spaces and between louvered door slats. A NEW toothbrush – that’s right. While cleaning is a great reuse for an old toothbrush, consider getting a new one or even a scrub brush in a similar design to attack the difficult areas with the extra force of new bristles. A razor blade, when used carefully and safely, can be irreplaceable in removing residue from hard surfaces such as tape or paint on a window. Always test first to make sure it won’t damage the surface you are trying to clean, and use at an acute angle to the surface. A general purpose cleaner and a tile cleaner will take care of heavy dirt and mold better than distilled water. Carry a plastic bag with you to collect trash and debris, saving you from having to clean up after your cleaning. Bonus: A cleaning caddy with a handle or a bucket with pockets will be indispensable in keeping all your tools together as you move through your home or business. Making a plan of the order in which to do your cleaning will give you direction and purpose and make sure you are thorough, completing each room before moving on to the next. Another good tip to keep in mind is to clean each room from the top down, that way you won’t have to clean the floor again if you knock dust off a high shelf. If even after all these tips you think you may have a job for the professionals, call SERVPRO at 732-805-9944 and our experienced and IICRC-certified crew will be happy to give your commercial or residential property a deep clean! Building Services Management Magazine: April 2014; Eight Tools for Spring Cleaning and IEQ. March 20 through 26 is the US Environmental Protection Agency’s (EPA) 2016 National Poison Prevention Week. This makes it a good time to review the medications, cleaning chemicals, pesticides, laundry detergents, and other chemicals your keep around the house, particularly if you have children or pets. A recent survey by the U.S. Environmental Protection Agency regarding pesticide use in and around the home revealed that almost half (47%) of all households with children under the age of 5 had at least one pesticide stored in an unlocked cabinet, and less than 4 feet off the ground (i.e., within reach of children). The survey also found that 75% of households without children under the age of 5 also stored one pesticide within reach of children. A few selected recommendations are listed below. Please see the links under “Sources” at the bottom of the page for complete information. Always read the label: review all warnings and storage recommendations for everything you buy, and regularly review directions for safe use. Store items out of reach and out of sight of children or pets: cabinet locks found at any hardware store can help keep little fingers and paws away from danger. See your home from the perspective of children and pets: crawl around on your hands and knees to spot potential issues you might not usually see. Never store cleaning chemicals, pesticides, laundry detergents, or anything else potentially dangerous in containers that could be mistaken for food or drink (i.e. cups, water bottles). Keep chemicals in their original containers; or if transferring them to something such as a spray bottle, label it very clearly along with particular dangers (i.e. use with gloves). Use child-resistant packaging properly by closing the container securely after use or if you have to step away from a container you are in the process of using. Alert all adults and caregivers coming into your home to potential dangers. When travelling to a home without children or pets (i.e. grandparents), make sure they have gone through these steps to avoid problems. A study conducted for the U.S. Consumer Product Safety Commission by the American Association of Poison Control Centers found that 23 percent of the oral prescription drugs that were ingested by children under 5 belonged to someone who did not live with the child. 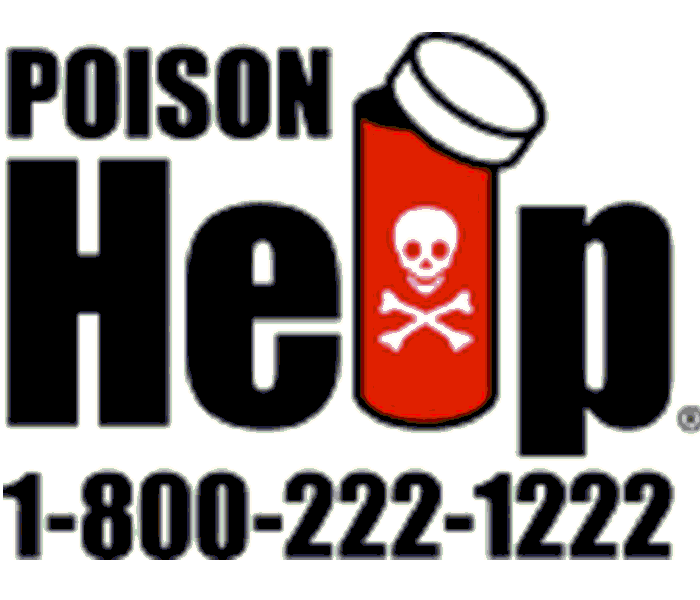 Keep the number for Local Poison Control in a prominent place in your house and programmed on your cell phone: 800-222-1222. Hold on to the label of anything someone might have ingested in order to provide the information to emergency personnel. By following and reviewing these basic guidelines as well as the information provided by the EPA and HRSA at the links below, you can ensure the safety of everyone under your roof. According to the NFPA3, unattended cooking is by far the leading cause of home cooking fires, with frying posing the greatest fire risk and electric ranges posing a higher risk than gas ranges. Range top cooking in general started the majority of home cooking fires and caused 86 percent of related civilian deaths for the reporting period. While incidents of candle fires peaked in 2001 and have been falling since, candles are still one of the top 10 causes of U.S. home fires, according to the NFPA. As with cooking fires, unattended or abandoned candles account for a large portion of candle fires–almost 20 percent–but the most frequent cause of candle fires is placing the candle too close to something that can burn, like curtains, decorations or furniture. For more fire prevention tips and information about fire and water damage restoration services, please visit www.SERVPRO.com. For more information on SERVPRO® of West Somerset County, please contact John Zoephel at (732) 805-9944 or office@SERVPROnesc.com.